By Bert Bond, Ph.D., and Alan Barker, Ph.D.
Bert Bond, Ph.D. Alan Barker, Ph.D.
Cardiovascular diseases (CVD) are the leading cause of death worldwide. While the clinical relevance of CVD is not apparent until later life, the underlying atherosclerotic progression is understood to have its origins in youth. Accordingly, efforts to reduce future CVD should start in the early years. Physical activity is understood to lower CVD risk, however very few children and adolescents achieve the recommended daily minimum of 60 minutes of moderate to vigorous physical activity. Furthermore, a recent meta-analysis concluded that interventions designed to increase physical activity in youth have limited success. This highlights the importance of considering how small volumes of exercise can be optimized for the prevention of future CVD in youth. We have read with interest recent observational studies from Canada showing that only time spent performing vigorous intensity physical activity is favorably related to CVD risk factors in adolescents. That work identified that the amount of daily vigorous physical activity required to provide this health benefit in adolescents is actually quite small, i.e. only approximately four to eight minutes. Interestingly, this is consistent with other data from UK investigators, which highlight that only time spent performing vigorous physical activity is related to endothelial function in children. This outcome is conceptually important as an impairment in endothelial function may be a prerequisite for fatty streak development in arterial vessels. Thus, the intensity of habitual physical activity appears to be a key consideration regarding future CVD risk. It is thought that the benefits of habitual physical activity are related to the repeated cardiometabolic responses to a single bout of exercise. Therefore, our article in the December 2015 issue of MSSE, was designed to assess the effect of exercise intensity on vascular function in adolescents. Twenty participants (10 boys, 10 girls) were ask to complete three conditions on separate days: 1) rest in the laboratory (control); 2) eight one-minute bouts of high intensity interval exercise, interspersed with 75 seconds of light exercise; or 3) continuous moderate intensity exercise, the duration of which was adjusted so that the total work (joules) performed by each subject was the same in both exercise conditions; this, in effect, enabled us to isolate the effect of exercise intensity. Our results demonstrated that endothelial function was attenuated immediately after high, but not moderate intensity exercise – which has previously been observed before in children and adults. However, our investigation was the first to track the time course of the vascular response following exercise. We found that endothelial function was augmented for two hours after a single bout of high intensity interval exercise, yet remain unaltered following moderate intensity exercise. In addition, the intensity of exercise was favorably related to microvascular function, which is important as the earliest detectable manifestation of the metabolic syndrome may be present in the capillary and arteriole beds, rather than conduit arteries. Although our MSSE paper demonstrated that exercise intensity is important to augment vascular function adolescents, further work is needed to establish how long these benefits last after a single bout of exercise and to explain the underlying mechanisms, e.g. shear stress. Encouragingly, we also observed that the high intensity interval exercise was more enjoyable than the moderate intensity exercise bout. These findings highlight the need for randomized control trials to determine the efficacy of low volume, high intensity training compared to moderate intensity interventions to alter blood vessel structure and function and traditional CVD outcomes (e.g. blood lipids.) However, our recent work adds to a growing body of evidence which demonstrates that the intensity of exercise is an important consideration for promoting maintenance and/or improvements in cardiometabolic health in adolescents. 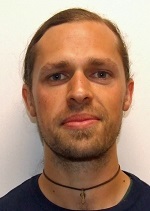 Bert Bond, Ph.D., currently is an associate research and teaching fellow at the University of Exeter. He finished his Ph.D. in 2015 on the topic of exercise intensity and health outcomes in adolescents. 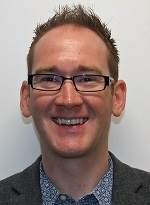 Alan Barker, Ph.D., is a senior lecturer in pediatric exercise and health at the University of Exeter. His research focuses on how exercise intensity can improve health outcomes in children and adolescents.